A small percentage of the population that greatly benefit from following a gluten-free: These are the estimated 1 to 2 percent of people who have been diagnosed with celiac disease and the 0.2 to 0.4 percent who suffers from wheat allergy. So what about the rest of us, the 98% of the population that hasn’t been diagnosed with celiac disease or a wheat allergy? Gluten-free diets recommend substituting rice for wheat. This may not be a good idea in the long-term. Rice absorbs arsenic (and cadmium) from the ground. Small quantities in the diet are of no concern. But when rice (or rice flour) is a staple, as recommended in some gluten-free diets, it can be troublesome and may even result in poisoning. Restaurant and supermarket gluten-free offerings can be highly processed and packed with calories, sugar, salt and fat. One half of an Uno Chicago Grill Gluten-Free Pepperoni Pizza has 500 calories, 21 grams of fat, 1040 milligrams of sodium and 6 grams of sugar. Yikes! Gluten-free products are often void of nutrients and fiber. 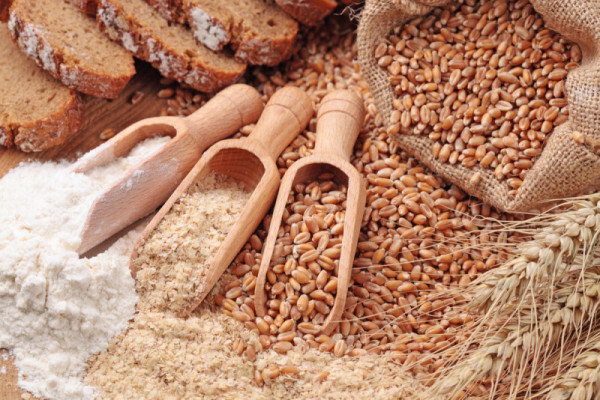 Most lack iron, thiamin, riboflavin, niacin and folate found in most enriched wheat and whole-grain products. For example, Betty Crocker’s all-purpose rice flour blend has no fiber and no nutrition. There is no scientific proof that gluten-free diets result in weight loss or improve health, unless you are part of the small percentage of the population that has celiac disease, wheat allergy, or real gluten-sensitivity. Removing any food group can result in a lower caloric intake, and therefore weight loss, but there are better and more balanced ways to cut back on calories.